Basements can be dark, dreary, and in some cases, mildly creepy. On the other hand, they can be the coolest room in the entire house, where everyone wants to spend their time. Best of all, a finished basement can add both monetary and practical value to your home. At InSite Builders & Remodeling, we want to help bring your dream home to life, including creating the perfect living spaces for your needs. 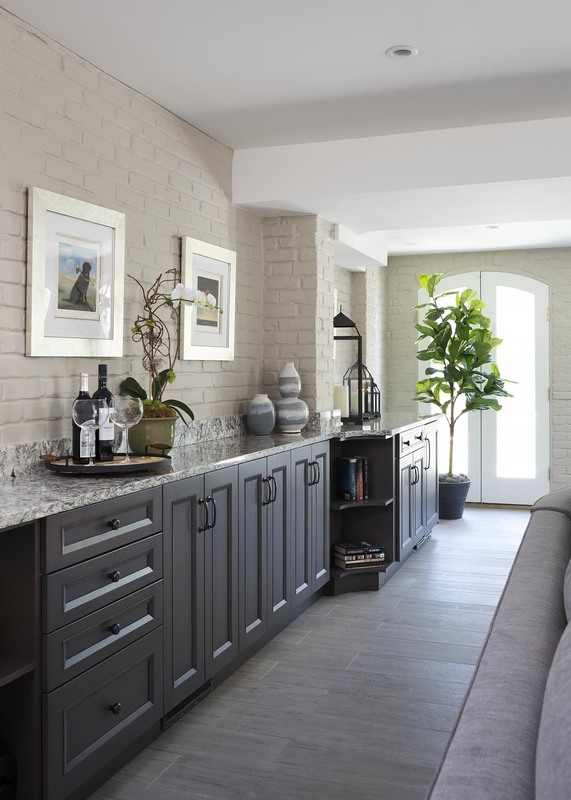 We offer basement finishing, design, and remodeling services that will make your home the perfect place to relax, entertain friends, or keep the kids comfortable and happy. One of the most common services we provide is basement finishing. Since these rooms aren’t as vital to a home’s daily functionality as kitchens, bathrooms, and main-level living rooms are, they are often left until very last to complete. Your basement may have been unfinished for years and you’re just getting around to making it a beautiful, functional extension of your living space. On the other hand, you may have recently moved into a new home and want to make it 100% your own - right down to its roots. We offer basement finishing services as well as basement design and remodeling. Whatever your needs may be, we have the tools and knowledge to make your basement a functional living space that will be enjoyed for years to come. InSite Builders & Remodeling is a full-service design-build company, meaning that we’ll handle your entire project from start to finish. From our very first meeting to the finishing touches of your remodel, we’ll be here to make sure your project is done with the quality and attention you deserve. Keeping your basement finishing in-house for the entire project has several benefits. First, you get to work with a team that you’ve come to know and trust, and who have gotten to know you and your vision for the future. Second, you can rest assured that none of the fine details of your remodeling plans will get lost in translation between two companies. Finally, you only have to worry about one point of billing, making payment much easier and more convenient. Investing money is something that the majority of people take very seriously - as they should! There are many options out there when it comes to investments, but one of the best and most reliable is your own home. Finishing your basement can greatly add to the monetary value of your home. Additionally, having more and better living space can vastly increase your own quality of life, which is impossible to put a price on. We promise to spend every dollar you invest with us on the finest tools, craftsmanship, and materials. You and your home will be treated with the highest level of respect and care, and we’ll do everything in our power to create a beautiful, functional space that you and your family can enjoy for years to come. To us, you’re not simply another remodel to check off our list. We care about you and your home, and hope that you’re so pleased with your basement finishing that you’ll make us your go-to renovators. When your family and friends in Bethesda are looking to remodel their kitchens, bathrooms, living spaces, outdoor areas, or patios, we hope to help them too! In the process of turning your house into the home of your dreams, we hope to earn your continuing business as a Client For Life.